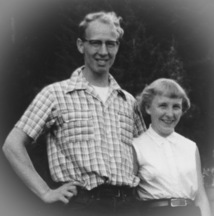 Walt and Mary met at the Skandia folkdance club in Seattle in 1952. Their first date was to Walt’s parents’ square dance club on a Sunday night in September. They were both good dancers. Mary said she liked him because “his eyes crinkled from smiling so much and he laughed and teased a lot. He adhered firmly to his beliefs; he never accepted an idea just because it was popular. And he was a VERY good dancer.” They were married almost 58 years ago on September 18th, 1953. They continued dancing after they got married. With Skandia they did many Scandinavian folk dancing performances. After their daughter, Sharon, was born in 1955 they would put her on stage with the band in her bassinet. Walt worked as an electrical engineer at Boeing for 39 years. He specialized in microwaves and worked on projects such as the Stealth Bomber and Air Force One. Mary worked as a housewife until their son, Brian, was in high school. Mary volunteered at Seattle’s Crisis Clinic, eventually spearheading their Information and Referral Services. She returned to the UW, where she earned her Masters Degree in Social Work in 1977. By the early eighties, she was working at Travelers Aid Society, focusing her work in international adoption, and helping carry many babies back from South Korea into their new parents’ arms. Both Walt and Mary love travel and the outdoors. Traveling with backpack, tent trailer, or their camper van–complete with a canoe on top–they took road trips all over the continent. They drove north through the Yukon to Inuvik in the very northern reaches of the Northwest Territories, east as far as Newfoundland, and south into Mexico. Mary and Walt have also traveled to Europe from the northern reaches of Norway, south to Portugal and Greece. And even to Australia in the southern hemisphere. Walt explored and fished wilderness from Utah through all the Rocky Mountain states and farther north into British Columbia and north of the Arctic Circle in Alaska. On some trips he covered areas that had rarely, if ever, been hiked before. 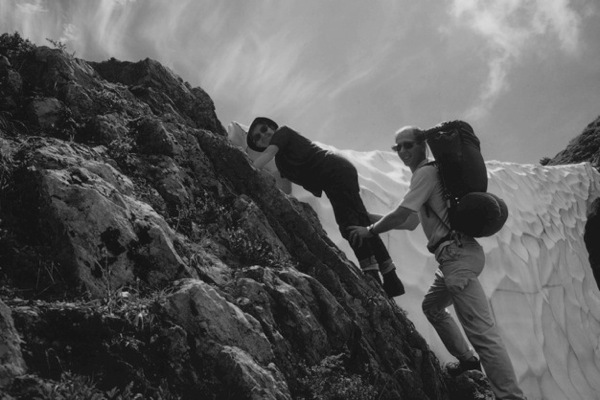 Starting in the mid-seventies, he took a yearly one to two week backpacking trip with his son, Brian and a rotating mix of other family members. On one memorable trip to the Absoroka-Beartooth Wilderness in Montana, his crew included most of his extended family. Along on the trip were, almost, four generations. Walt and Mary’s kids, Sharon and Brian; kids-in-law, Dennis and Annie; grandkids, Andrew, Erin, and Jeffrey; granddaughter-in-law, (Jeffrey’s wife) Julie, and not visible but along for a comfy ride, their soon-to-be great-grandson, Tevian. The only descendent missing was their granddaughter, Mara. As a member of the Washington Hi-Lakers, Walt helped develop a database of Washington high lakes and angler reporting system that is still being used to aid Washington Department of Fish and Wildlife biologists manage the high lake fishery. His love of high lake fishing led him to develop and produce the world’s lightest packraft. It gets a mention under Packrafting in Wikipedia. Walt played handball for many years and still loves to play. He often plays at the new YMCA in Silverdale. Mary’s love of organization and data gathering, along with her interest in history, led to her passion for genealogy. Naturally, genealogy was a good excuse to travel and she took trips to genealogical archives in Utah and Washington DC. More memorable were trips tracing her family back to the East Coast of the US and further back to Ireland, Germany, and Poland. She produced a book-length family history which begins with the birth of Walt’s maternal great-grandmother in 1833. Adoption has been a continuous thread in Mary’s life. Adopted as a infant, she was lucky enough to meet her birth sister when she was twenty years old and her birth mother at age sixty. Mary’s granddaughter, Mara, was adopted from South Korea. Mara is forever grateful for her grandmother’s dedication to the documentation of her adoption and the positive influence she has been in her life. You may have already seen our mom and dad dancing at Clearbrook Inn. Even while wheelchair bound mom was tapping to the music. If you see dad and he hasn’t asked you to dance; be sure to ask him. He’s a great dancer!